Rubber Bath Mat that has holes to allow water to drain away. 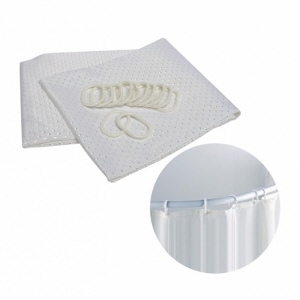 It has a rubber moulding base with slip resistant suction cups to stay in place on slippery bath surfaces. Available small and large sizes. Reduce risk from slipping and hurting yourself with this Rubber Bath Mat! 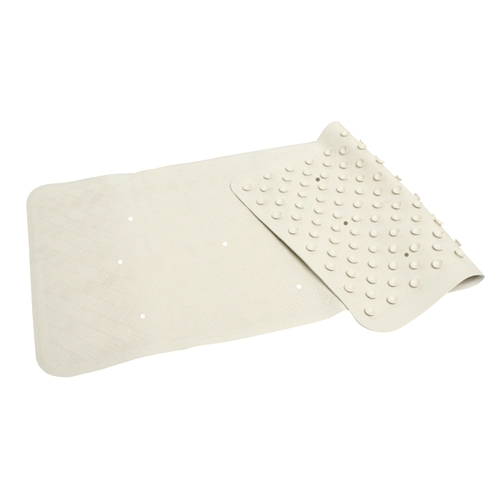 Protect yourself with this Deluxe Silicone Frosted Bathmat with suction caps, holes or spaces for water to drain. 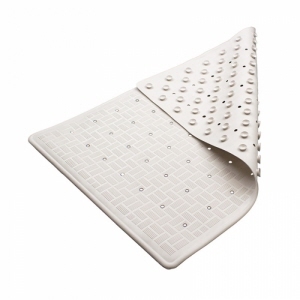 This non-slip bathmat is mould resistant and is washable. 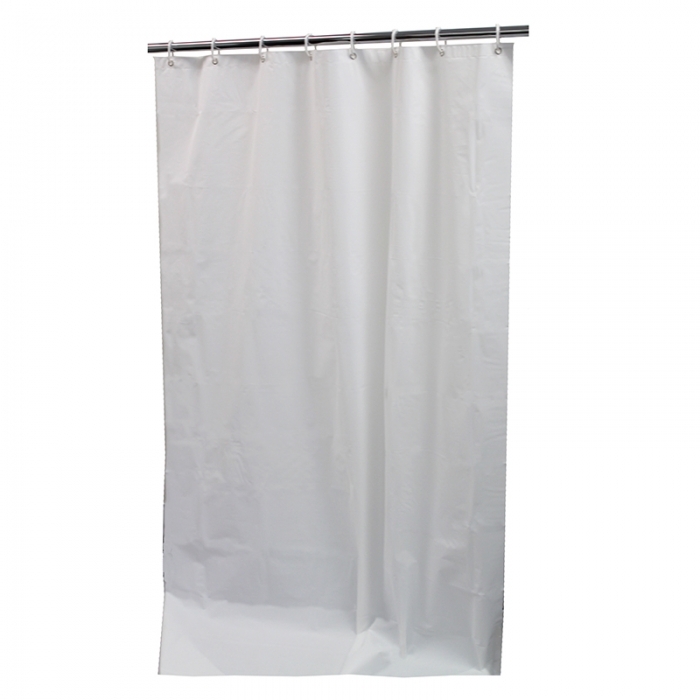 Basic Shower Curtain with weighted base and 12 shower rings included. 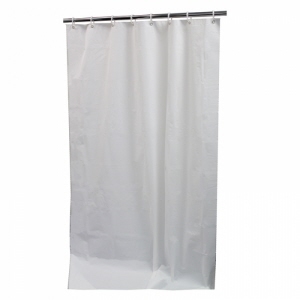 Shower Curtain, hospitality grade with a weighted base and 12 shower rings included.